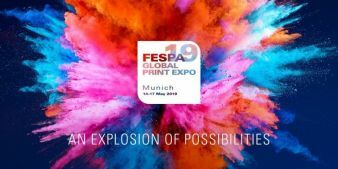 The Fespa Global Print Expo 2019 returns to Munich’s exhibition centre from 14-17 May 2019 under the banner "Explosion of Possibilities". This slogan celebrates the diverse commercial and creative opportunities in the fields of screen printing, digital large-format printing, textile printing and advertising technology. 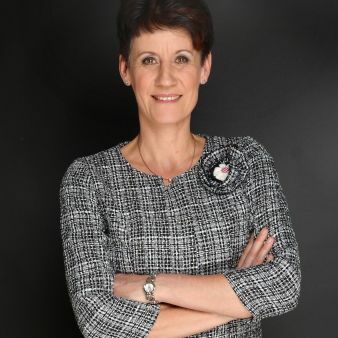 “Printing companies and advertising technicians are always on the lookout for new opportunities to drive growth,” states Roz Guarnori, Exhibitions Director for Fespa. Explosion of Possibilities underlines not only the inexhaustible opportunities offered by technology and media innovations, but also the ability of enterprises to embrace and experiment with new ideas, applications and markets. Munich has frequently hosted Fespa in the past, in 1999, 2005, 2010 and 2014. At this year’s Fespa Global Print Expo 2019, more than 700 exhibitors across six halls will be unveiling their latest technologies and applications in the fields of screen printing, digital large-format printing, textile and apparel printing, printed interior design, car wrapping and non-printed advertising technology. Following its success at Fespa Global Print Expo 2018, an entire Hall (A4) will once again be devoted to substrates this year. At the concurrent European Sign Expo 2019 – an independent event for non-print advertising technology – printing companies can gain an insight into the opportunities offered by visual communication beyond printing.